Have You Been Injured in a Drunk Driver Accident (DUI)? If you have, contact an experienced drunk driver accident lawyer today. Dwyer Williams Cherkoss Attorneys, PC is an experienced and tough statewide law firm that has settled, mediated, arbitrated, and tried more than 650 personal accident and injury cases including drunk driving accidents the last 3 years. We handle all cases, big and small, with the same dedication and tenacity that other firms reserve for only big cases. It is because of this approach that we are able to get each of our clients' top dollar for their accidents and injuries. You Received a Hospital Lien. What Exactly does this Mean? Year after year, drunk driving ranks among the leading causes of death on US roads. According to the Centers for Disease Control and Prevention, alcohol-impaired drivers are involved in roughly a third of all fatal traffic accidents America each year. Thousands of Oregon and Washington residents are injured or killed in drunk driving accidents each year, often leaving them with lifelong pain, disability, or other health consequences. When facing these types of debilitating injuries, Oregon drunk driving victims may find themselves in need of thousands of dollars in damages to afford years of medical care, rehabilitation, in-home treatment and medical equipment, all while being unable to resume their regular employment or forced to work on a part-time basis due to injury. If the drunk driver is unable to afford large damages awards alone, victims might consider other parties who are responsible for the drunk driver’s actions. Oregon law provides that the people or businesses who serve alcohol to drunk drivers may bear some financial responsibility for the injuries they cause when driving drunk. When a social host, bar, or restaurant serves alcohol to someone who is visibly drunk and they have reason to believe that person may be driving somewhere afterward, they can be sued for damages by victims of the drunk guest or customer. The violent and traumatic nature of an accident caused by a drunk driver can leave victims with astronomical expenses. In serious cases, victims may be saddled with long-term ongoing costs such as in-home medical care, rehabilitation costs, or repeated surgical procedures to treat chronic issues. A determined and aggressive Oregon DUII injury attorney will investigate and exhaust all possible avenues for compensation, rather than encourage a quick settlement with an auto insurer that doesn’t get you the funds you truly need. In addition to seeking damages from the driver themselves, as well as possible social host liability, you may be entitled to damages from other sources. For example, if the driver is convicted of the crime of driving under the influence, you may be entitled to an award of restitution issued through the criminal court. There is also the possibility that the drunk driver was on the job at the time of the crash. The legal principle of respondeat superior states that an employer is legally and financially responsible for the acts of their employees while those workers are on the clock. Even if the employer wasn’t responsible for the employee being intoxicated, if the drunk driver was in the course of their employment when the crash occurred—if they were, for example, carrying out a delivery or on their way to purchase supplies for their employer—then the employer may owe compensation to victims of the drunk driving crash.The seasoned Oregon drunk driver victim attorneys at Dwyer Williams Cherkoss Attorneys, PC will explore all theories and sources of liability, giving you the best chances of getting all you deserve from your drunk driving claim. When a drunk driver causes an injury accident in Washington or Oregon, that driver is likely to face criminal charges for driving under the influence. A criminal case could result in the driver being put on probation and paying penalties and fees, as well as the possibility of jail time. A criminal case is different from a personal injury lawsuit filed by a victim in civil court. Criminal charges against the driver who hurt you won’t prevent you from filing a claim seeking money damages. In fact, while a criminal case might cause a delay in your civil claim, a conviction could strengthen your claim against the driver. That said, a criminal conviction isn’t necessary for you to maintain a civil claim against the driver. If you have been injured by a drunk driver accident, then the value of your claim may be more than had the other party not been drunk. Generally speaking, if you are willing to let us file your drunk driver accident case in court, we can get you a 20% to 50% premium on the claim. The reason we have to file to get the premium is because insurance companies almost always take the position that they don't consider the nature of the negligent act; rather, they only look at whether their insured was or was not at fault. However, the insurance companies know that if they have to defend a drunk driver at trial, they run a very serious risk of getting hit big. The reason that drunk driver accident cases are likely to bring the injured party more money is because such cases are often subject to punitive damages. “Punitive damages” is an award of money intended to punish the bad driver, and is in addition to the damages that would be awarded in a common negligence case. Thus, the potential for punitive damage can increase the settlement value in a case when handled by an experienced attorney. Unless you have a lawyer on your side, punitive damages can be very difficult to obtain. In fact, you aren't even allowed to ask for punitive damages when you first file your lawsuit. Rather, you have to file the lawsuit, proceed with discovery (including depositions, requests for production of documents, and requests for admissions), then file a separate motion to allege punitive damages. The party seeking to add a claim for punitive damages must be able to set forth specific facts supported by admissible evidence adequate to avoid the granting of a motion for a directed verdict to the party opposing the motion on the issue. This is no easy feat. Value of Your Drunk Driving Accident Settlement in addition to punitive damages. In addition to medical bills and wage loss, your pain and suffering is a major element of your drunk driver accident claim. Your injuries may have an impact on your ability to carry on with your normal life. Your pain may restrict your ability to do simple tasks. Your pain may also affect your ability to perform at work, drive a car, and participate in your sports and hobbies, family life, and other personal activities. You may lose income and job opportunities and find that you have suffered a permanent accident or injury. You may also expect future medical expenses for your treatment. You are entitled to compensation for all of these losses. Obviously the greater the loss the greater the value of your case. Assuming that you are successful in amending the lawsuit to add a claim for punitive damages, you must then be able to prove that portion of your case by clear and convincing evidence at trial. While this may sound relatively easy, it is, in fact, quite difficult to do when you are up against an experienced defense attorney. Insurance companies know this, and nearly always assume that they will successfully defend against a claim for punitive damages if the injured party does not have a drunk driver accident attorney. Thus, if you have a lawyer on your side that is aggressive, knowledgeable, and willing to go to the trouble of filing your case with the court, you will very likely end up with significantly more money. 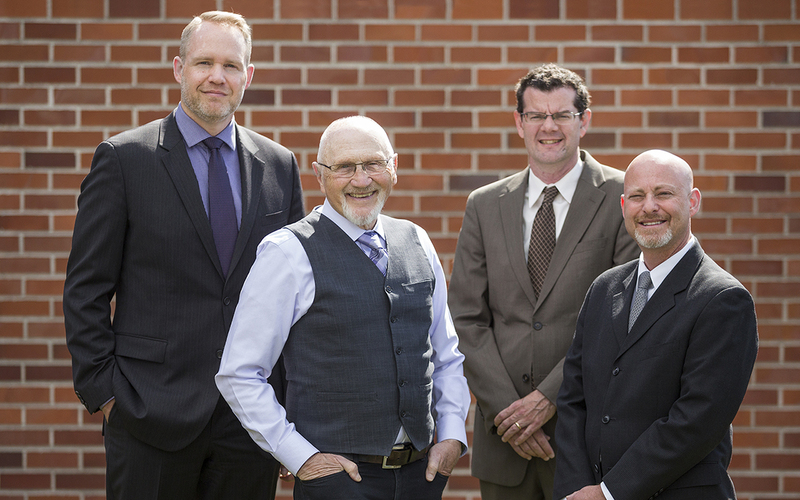 We are an Oregon statewide personal accident or injury law firm, with lawyers in Bend, Eugene, Medford, Grants Pass, Roseburg, and Portland. Some Oregon drunk driving accident lawyers attempt to serve the entire state out of a single office, either in Portland, Salem, or Eugene, doing everything via mail. Such a remote system often leaves clients feeling left out, with little or no personal communication. Contact our experienced attorney at 541-617-0555, for help with your drunk driving accident case. What is my Car Accident Insurance Settlement Worth?